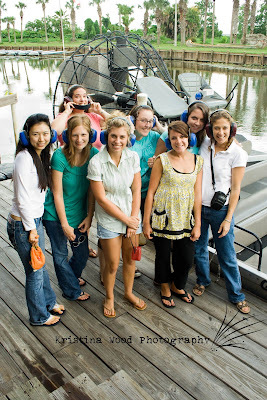 We had a fun evening with our summer interns by taking an air boat ride together. I mean, I think this is Central Florida at it's best--the culture that existed before theme park days. It was slow, down-homey, and fun. My car's all loaded up! Aren't the sound-protective headphones so cute? 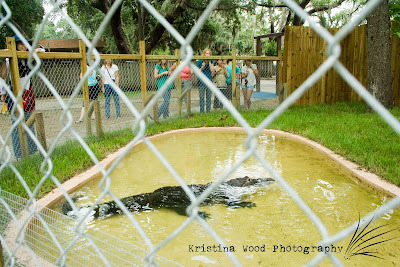 Not that I like alligators, but I did feel a little bad for this caged guy. 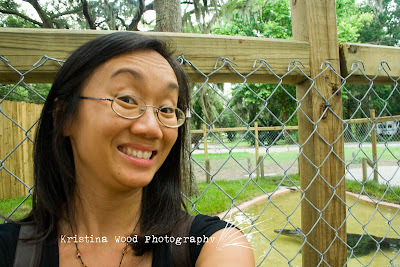 In the middle of the tour, our guide stopped the boat to point out some baby alligators for us. Can you find it in the photo? His nose is directly above the "P" in my watermark. He was only about 6 inches long. 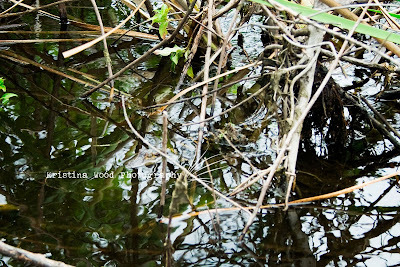 It takes a few years for gators to grow to 2 feet in length, at which point they are no longer preyed upon. Until that point, they are fair game for most birds, particularly, the blue heron, who is 4 feet tall at maturity. 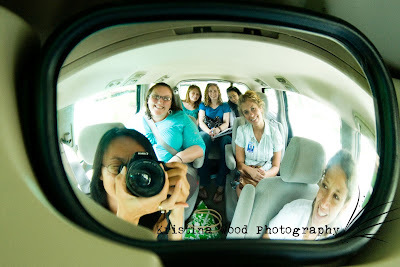 I learned so much on our tour!